The latest trend for inexpensive, clean and efficient heating systems for home living today may be multifuel, solid fuel and woodburning stoves. We offer an expert supply and installation service to home owners in Dumfries & Galloway or the Scottish Borders areas between Hawick and Langholm. If you are looking for expert advice from a proven reliable source and superior installation service from a reputable and reliable company then we are here waiting to show you around our large showroom full of appliances by the best makers in the heating appliance market. life would be much easier… Pete and I send our thanks for the good service we received on our recent purchase of a Clearview stove. We would recommend you and your workmen. It was a pleasure having such decent pleasant workers in my home. . It was a job well done and all I can say is thank you…. You don’t want to have the hassle of organising and scheduling several different trades to get your job completed so we provide a team of qualified tradesmen with excellent skills who can work together to get your project completed to the highest standard with as little mess or inconvenience s possible. We provide tailor-made solutions and a chimney building service so that the new demand for designer stoves, modern stove style and innovations in heating is met. Whether your choice is glass and ceramic, enamel or paint, flueless, wall mounted or free standing, you are sure to find a stove, fireplace, range cooker or chimney solution to meet your needs and which will exceed your expectations. World of Stoves is glad to provide recognized superior stove brand names and contacts that are known around the globe. You can obtain information on our products by giving us a call. visiting the showroom, or requesting a free survey and quote. 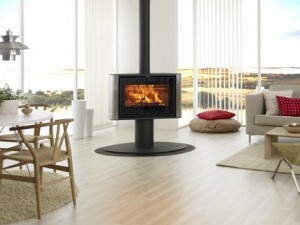 Whether you are interested in modern wood burning stoves, traditional stoves, home grown, or stoves from the continent. World of Stoves is your premier choice in for coal, gas, oil, or the latest in fuel systems.